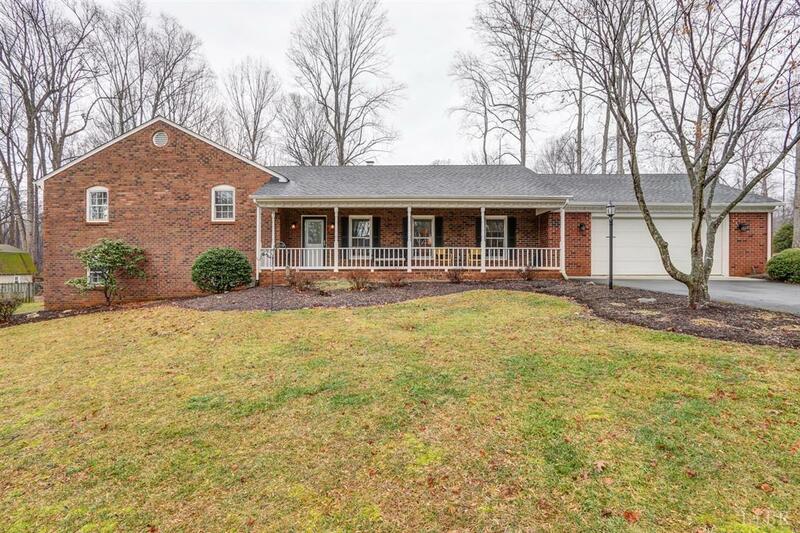 Stunning Poplar Forest home features 4 bedrooms, 3 baths, screened porch and 28x26 garage! This meticulously maintained home offers updated kitchen (2014) with new cabinets, countertops and backsplash. New engineered hardwood floors throughout main level and new carpet in bedrooms and family room (2016). Main level den with fireplace (gas logs), living room, dining room and kitchen leading to screened porch. The second level offers master bedroom with private bath and walk in closet, two additional spacious bedrooms and updated full bath. The terrace level offers huge 4th bedroom, family room, walk in storage closet (perfect pantry!) and separate laundry room with full bath. Terrace level walks out to a lovely patio. Roof 2007 (50 year smart choice shingle), Septic pumped June 2018. This home is a must see and is convenient to everything!